As I write this, two events have taken place that once again demonstrate just how intractable the Tibet issue is and how any attempt to unravel it must address its root causes. On 13 February this year, Tibetans in exile commemorated the 100th anniversary of the 13th Dalai Lama’s proclamation of Tibet’s independence, which he made following the expulsion of Manchu forces from Tibet after a short-lived occupation of Lhasa. On that same day, reports reached us of the latest self-immolation in Tibet: 37-year-old Lobsang Namgyal became the 100th Tibetan to publicly burn himself since this form of protest, unprecedented in Tibet’s history, began in 2010. Whatever the historical interpretation of Tibet’s status prior to the 13th Dalai Lama’s proclamation – and Tibetan and Chinese historians are sharply divided on the issue – the fact remains that from this moment on until the invasion of the country by the People’s Liberation Army in 1950, Tibet in every sense fulfilled the definition of a modern nation state. It had a fully functioning government, a civil service, judicial and taxation systems, and its own army, postal service and currency. It even issued its own passport, which was internationally recognized. It is China’s violation of this sovereignty and subsequent colonization of the country that has led directly to the wave of self-immolations taking place in Tibet today. These dramatic protests are symptomatic both of the increasingly oppressive situation inside Tibet where every form of dissent has been methodically and violently shut down, and the perseverance of the Tibetan people who, after more than five decades of Chinese imperialism, remain more determined than ever to challenge it. The messages left behind by several of the self-immolators and the last words shouted by many of them converge on two points: a call for the return of the Dalai Lama and the demand for Tibet’s freedom, sometimes clearly articulated as independence from China. The generation that remembers an independent Tibet may largely be gone but every Tibetan continues to believe that the claim to independence is legitimate and rooted in our history. For exile Tibetans like me, the sacrifice of the self-immolators and their message has rung loud and clear: the battle for our beleaguered nation is by no means lost. Their actions, along with those of the thousands who came out in protest during the uprising of 2008, and the scores of writers, musicians and intellectuals subsequently incarcerated for giving voice to the demands of their people, have given us new hope. As their spokespersons in the free world, their heroic actions demand from us a renewed engagement with our cause and a concerted effort on our part to amplify their voices and help fulfil their aspirations. But how successful have we been in achieving this? At the end of 2011, Time magazine stated that the string of self-immolations in Tibet was the year’s top under-reported story. That year, 11 Tibetans had publicly burned themselves. A little more than a year on, the numbers have climbed to more than 100, with 28 in November 2012 alone, but media coverage has remained, for the most part, low-key, and public awareness continues to be woefully lacking. There has been some attempt by western governments to call China to account but without any conviction and no real pressure. Despite being among the most successful refugee communities in the world, with a charismatic and a globally renowned leader, and with enormous international goodwill for our cause, we have failed to mobilize the widespread outrage and support that the situation in Tibet demands. A key reason for this appears to be the dogged insistence on the part of our leaders in Dharamshala to stick to a conciliatory political policy that has voluntarily forsaken Tibetan independence as the fundamental source of contention; a policy that has borne no dividends yet constrains us in our criticism of China’s actions in Tibet. For nearly three decades, the Tibetan government-in-exile has stuck to the Middle Way Approach as the only way to resolve the Tibet issue. Taking its inspiration from the Buddhist principle of avoiding extreme positions, the Dalai Lama gave up the demand for independence, asking, in return, for a genuine autonomy that would cover the entire Tibetan plateau. Since China’s takeover of the country, the traditional Tibetan provinces of Kham and Amdo were made part of Qinghai, Gansu, Sichuan and Yunnan, and only the erstwhile Central Tibetan province of U-Tsang was incorporated as the Tibet Autonomous Region. The Middle Way Approach proposed an administrative unit within China that would unite the three provinces. This was a bold offer, but it depended entirely on reciprocal goodwill and sincerity from China, something that has never been forthcoming. For the Dalai Lama and the exile Tibetan government, leaving behind the past in order to find a way forward for Tibet is a huge and imminently reasonable concession, but Beijing does not see it in that way. It has consistently spurned the Middle Way Approach as nothing but a ploy to regain independence. One demand it has always made as a precondition to any meaningful talks is that the Dalai Lama officially accept the Chinese narrative that Tibet has been a part of China since at least the 13th century, which he has, with good reason, refused to do. By refusing to accept China’s version of history, the Middle Way Approach leaves open the possibility that Tibetans can always revert to a demand for independence. Therefore, unless Tibetans agree to rewrite their own history, which they cannot do, Beijing will continue to accuse the Middle Way Approach of being insincere and refuse to negotiate, and the entire exercise will remain, as it has done so far, locked in a stalemate. But despite Beijing’s official rejection of the Middle Way Approach, it continued to dangle the carrot of negotiations, and between 2002 and 2010, nine rounds of talks took place between the Dalai Lama’s representatives and Chinese authorities. Maintaining a facade of talks benefited China in a number of significant ways. The Dalai Lama’s powerful western allies have always strongly encouraged and supported the Middle Way Approach, hoping that by eschewing the prickly issue of Tibet’s independence, it would make Beijing more amenable to a negotiated settlement. Of course, it also let them off the hook from having to take a harder stand on Tibet, something they were loathe to do given their economic dependence on China. Any semblance of a dialogue then was enough to allay western criticism over China’s rule in Tibet. And under its cover, China has been able to ruthlessly and with impunity carry out its own final solution to the Tibet problem: to efface every trace of Tibetan identity through a combination of demographic marginalization and cultural imperialism. The talks also served the purpose of extracting ever more concessions from the Tibetan side. A key requirement for the talks to continue was that exile Tibetans had to tone down their political activities against China to prove that they were no longer seeking independence. For the first time our leadership asked us not to raise certain slogans, particularly anything that might upset Beijing. The Tibetan word for independence, rangzen, was effectively deleted from all official (and unofficial) communications, and our long-term cry, ‘Bod Rangzen Tzangma Yin!’ (Tibet’s independence is unquestionable! ), suddenly became a dirty phrase. Indeed, the very word, rangzen, started to take on sinister connotations. Although the majority of Tibetans continued to instinctively believe that rangzen should be our political goal, those who openly expressed this were accused by proponents of the Middle Way Approach of being anti-Dalai Lama, the single-most devastating charge any Tibetan can face. One outcome of this contradiction between what we believed to be our inherent right and the compromise we were being asked to support was that it drained the vitality from our movement and left it adrift without a clear and unifying goal, a state of affairs that persists to this day. The talks broke down in 2010 and there is no sign that China is interested in reviving them any time soon. It seems that Beijing no longer needs to keep up the pretext of continuing the dialogue. The uprising of 2008 and the ongoing self-immolation protests have only hardened its view that, no matter what the Dalai Lama says and how sincere he is, his very existence is a reminder of Tibet’s sovereignty and a threat to its hold over Tibet. And yet, in exile, the Middle Way Approach has evolved its own peculiar momentum; the more China rebuffs it, the more stubbornly our leadership maintains that it is the only policy it will pursue, sometimes describing it in near spiritual terms as being beneficial not just for Tibet and China, but for all humanity. The Middle Way Approach has been elevated to a kind of sacrosanct dictum that cannot be debated, much less discarded. Certainly, the fact that the Dalai Lama himself believes in it, and has invested so much political capital and time in pursuing it, means that many Tibetans, usually on the basis of their religious devotion, continue to support the policy. But by dogmatically adhering to this approach, the exile government continues to bind itself to the conditions built into the proposal and in doing so, forfeits the possibility of forcefully confronting China’s actions in Tibet. It also traps itself in a doublespeak that ends up sending mixed signals, not only to Beijing and the world but also to its own people, thereby further muddying and weakening the foundations of our long-term struggle. The Memorandum for Genuine Autonomy for the Tibetan People, the blueprint that sets out the vision of the Middle Way Approach, is predicated on giving up the demand for Tibet’s independence and not raising the issue of her status before the Chinese invasion. Dr Sangay’s statements could be interpreted by Beijing as doing both and plays into the Chinese contention that the proposal is a covert demand for independence. 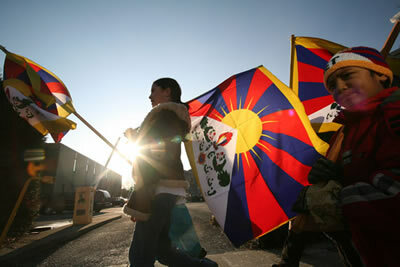 Second, the memorandum has no provision to discuss the Dalai Lama’s return to Tibet. This is because the Dalai Lama has rightly stated on numerous occasions that the Tibet issue is not about him but about a nation and a people. He has also persistently promoted the idea of a secular democracy for Tibetans in which Church and State would be separate. In a move to emphasise this, he even took the historic step in 2011 of devolving his political authority and terminating the 400-year-old rule of the Dalai Lamas. For the exile government to now express that the return of the Dalai Lama is one of its key demands subverts the very spirit of the Middle Way Approach and leaves it open to the charge of duplicity. In reality, of course, despite the Dalai Lama’s resignation from politics, Tibetans everywhere continue to see him as the symbol of our nation. The cry for his return to Tibet is instinctively linked to the demand for freedom and independence because in the Tibetan mind, the two are inseparable. And so when Sangay raises the vision of the Dalai Lama’s return to the holy city of Lhasa he, like all Tibetans, reinforces the aspiration for an independent Tibet. In Tibet, Chinese authorities have launched a determined campaign to halt this newest challenge to its rule. It has criminalized self-immolations and made anyone found to be aiding or abetting a self-immolator guilty of murder. Scores of Tibetans have been arrested to date, some given long prison terms, and a 40 year old monk, Lobsang Kunchok, has already been sentenced to death, charged with ‘intentional homicide. These draconian measures, along with those already in place, such as the heavy presence of armed security forces and severe restrictions on movement, bolster the iron-fisted control that China exerts over the region, with its many layers of force, insidious surveillance and a carefully cultivated climate of fear and suspicion. They contribute to the further deterioration in the rights of Tibetans to preserve their way of life. But rather than discouraging dissent, there is a sense that Tibetans may have reached a tipping point, that this latest cycle of protest is only the beginning of another, more deadly phase in their resistance against Chinese rule. It suggests that the more China represses, exploits and colonizes Tibet, the more determined and enduring the fight-back will be. At the end of 2008, the Dalai Lama had called a special meeting of Tibetans in exile to discuss the ongoing crisis and a way forward. Although the majority of Tibetans at the conclave expressed continued support for the Middle Way Approach, they made a recommendation that within a short (but unspecified) period of time, if China remained intransigent then fresh options, including a return to the demand for independence, should be discussed. Nearly five years have passed since that meeting and no talks with Beijing have been forthcoming since January 2010 even as the situation in Tibet has deteriorated further. Clearly, the Middle Way Approach has exhausted its possibilities. By continuing to express allegiance to it, we are not only failing to intensify the message so compellingly coming out of Tibet, but are inadvertently assisting the very process of cultural annihilation that the policy seeks to protect. The longer we wait in this limbo of political ambivalence, the more time we give China to carry out its final solution, and the more in vain the sacrifices of our compatriots will be. The time has come to rethink the Middle Way Approach and reinstate Tibet’s independence as the cornerstone of our struggle. This will dynamically unify and revive our movement and restore the moral and legal basis to our challenge of China’s rule in Tibet. More importantly, it will ensure that the Tibetan struggle remains resilient and inspirational in the longer term when we will no longer have the Dalai Lama to personally embody our aspiration for a free and independent Tibet.